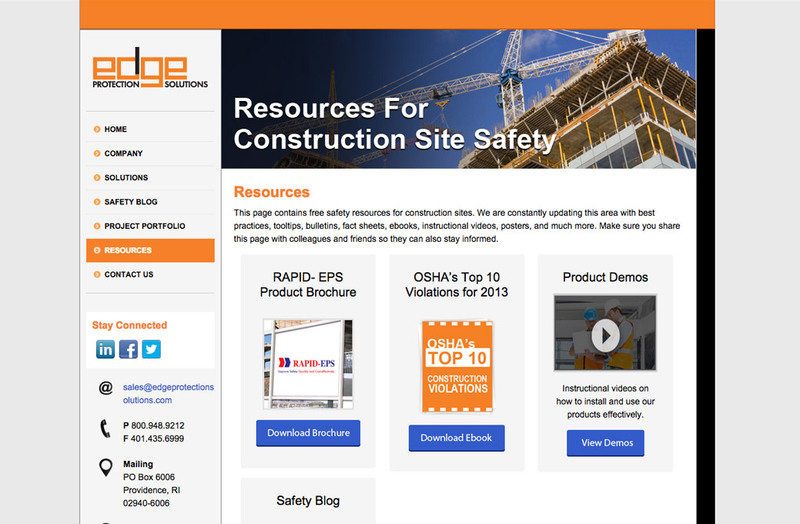 Edge Protection Solutions is a premier supplier of innovative safety products that helps to ensure the security and protection at construction sites, public events and roadwork sites. Some of their product offerings include fall prevention systems, plastic barriers, trench covers, ground protection, and more. 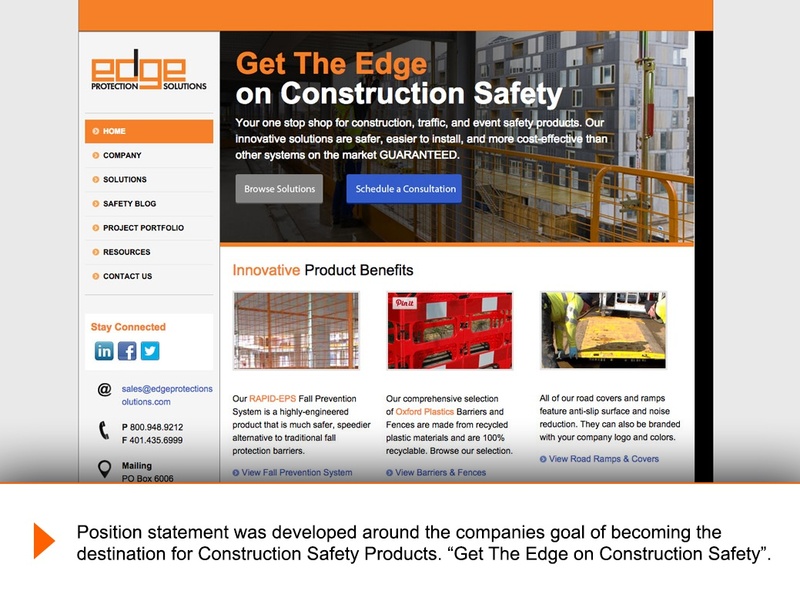 Edge Protection Solutions' online presence was lacking the marketing messages, and technologies to monitor and generate marketing/sales GROWTH. The client needed a partner with the expertise to conduct brand building and drive marketing performance. Position statement was developed around the companies goal of becoming the destination for Construction Safety Products. 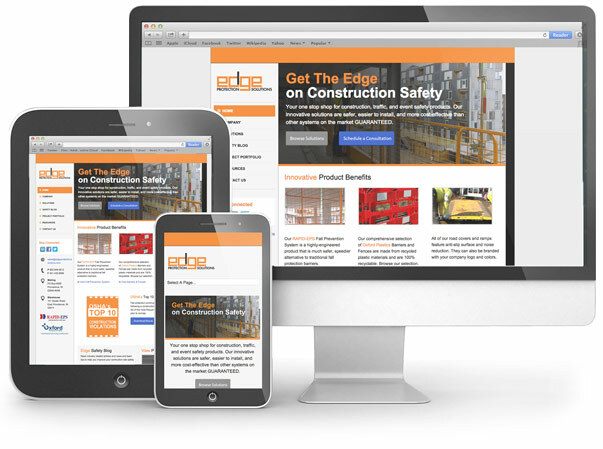 “Get The Edge on Construction Safety”. 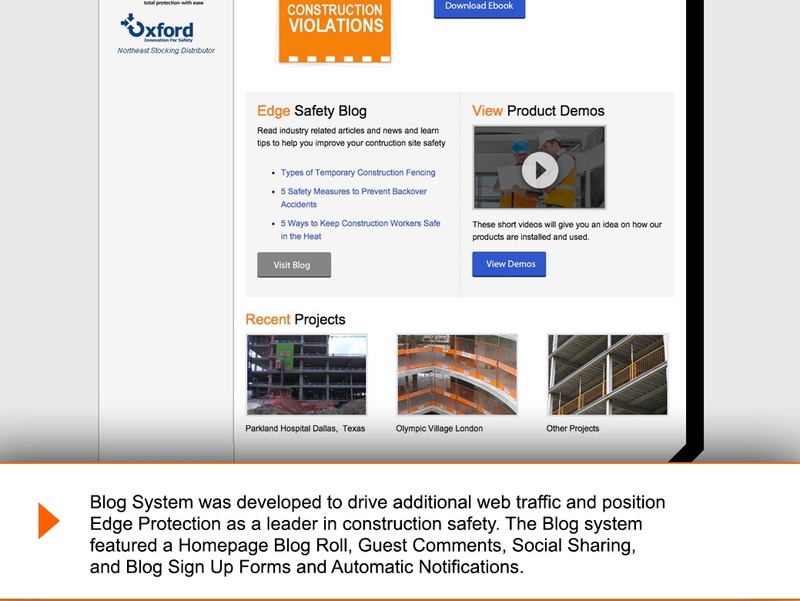 Blog System was developed to drive additional web traffic and position Edge Protection as a leader in construction safety. The Blog system featured a Homepage Blog Roll, Guest Comments, Social Sharing, and Blog Sign Up Forms and Automatic Notifications. 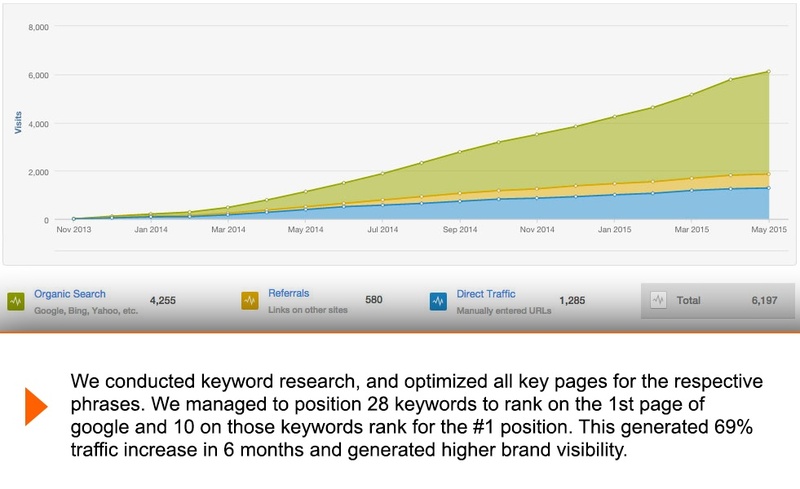 We conducted keyword research, and optimized all key pages for the respective phrases. We managed to position 28 keywords to rank on the 1st page of google and 10 on those keywords rank for the #1 position. This generated 69% traffic increase in 6 months and generated higher brand visibility. 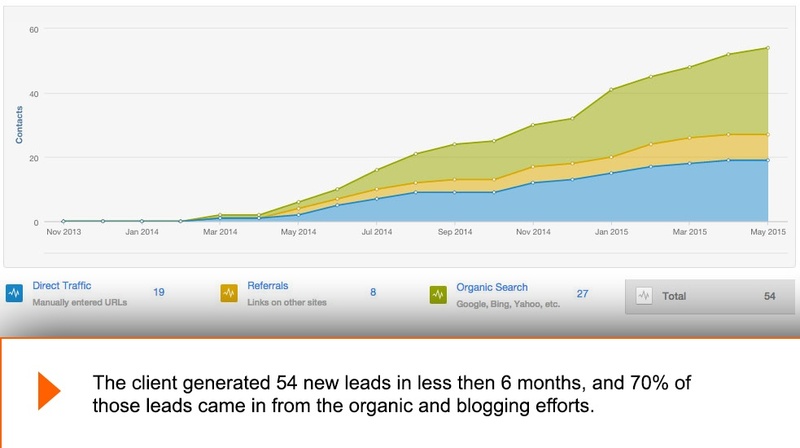 The client generated 54 new leads in less then 6 months, and 70% of those leads came in from the organic and blogging efforts. 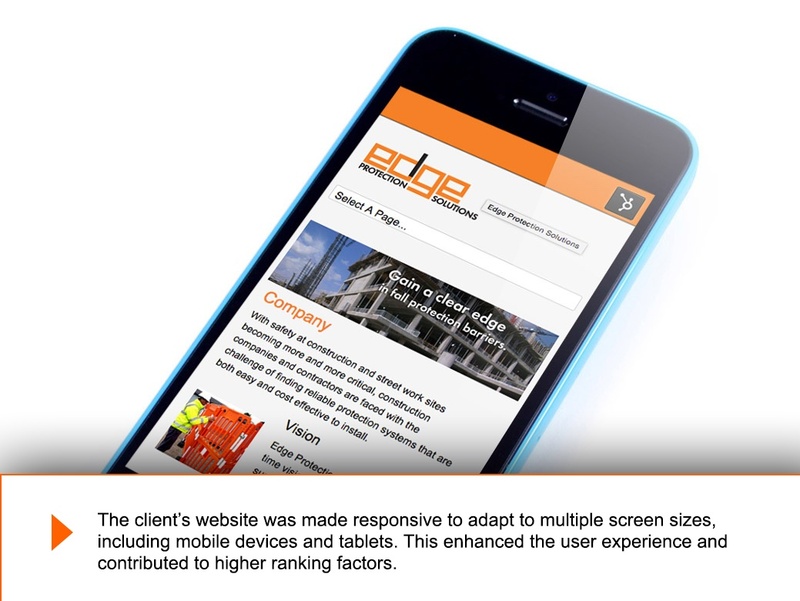 The client’s website was made responsive to adapt to multiple screen sizes, including mobile devices and tablets. This enhanced the user experience and contributed to higher ranking factors. 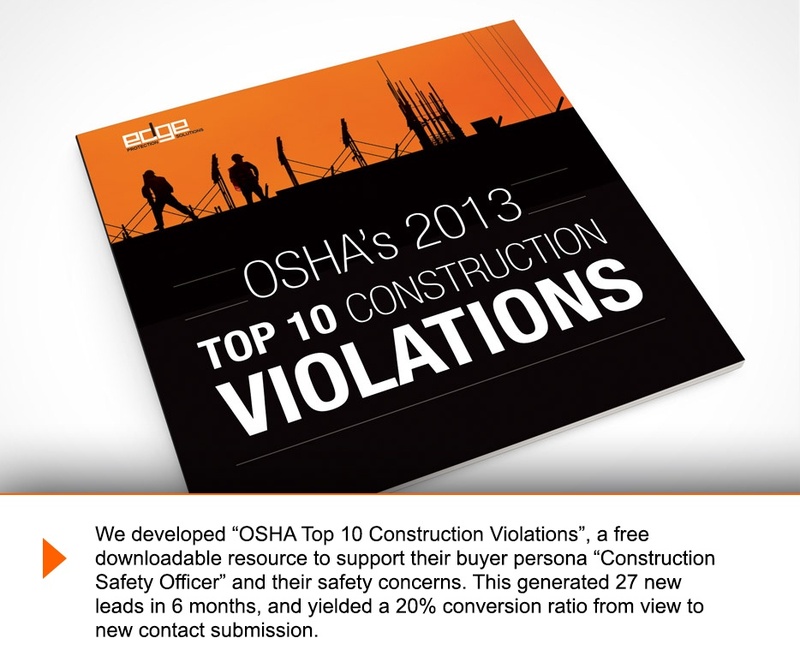 We developed “OSHA Top 10 Construction Violations”, a free downloadable resource to support their buyer persona “Construction Safety Officer” and their safety concerns. This generated 27 new leads in 6 months, and yielded a 20% conversion ratio from view to new contact submission.